it doesn’t stop with the Trail of Tears. The military record that made Jackson a “war hero”? One long recitation of atrocity. Heroically breaking a treaty with the Creeks to slaughter them wholesale. Taking advantage of the Battle of New Orleans to rule the city as an iron-fisted dictator, complete with summary executions. Ignoring his orders during the First Seminole War in order to conquer Florida, flouting international law in order to grab more territory for America and more glory for himself. 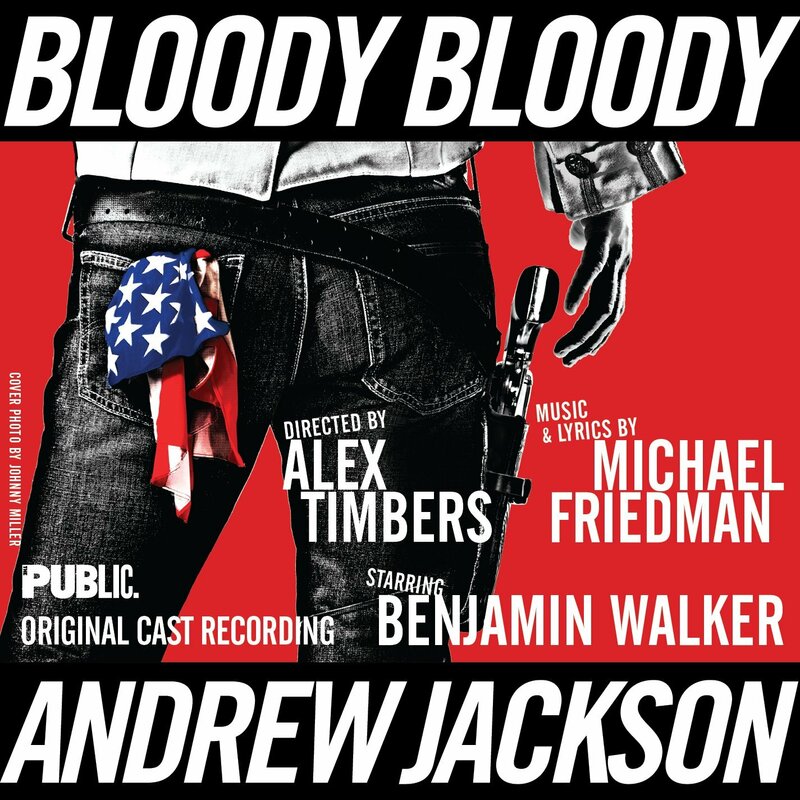 As the playwrights who wrought Bloody Bloody Andrew Jackson well knew, AJ is for many the stereotype of the populist soldier-leader. They also knew what I’ve come to believe, that the guy brutalized by British soldiers as a child grew up trying to re-enact that brutalization, over and over. That’s one of our national original sins, as well. “This country still has an issue equating quickness to rage with moral courage,” the Daily Beast also points out. Telling the difference between anger and rage is an important part of growing up, one this country may not have mastered. And while Jackson inspired many of his troops to worship him, a not-inconsiderable number said no. He complained about it constantly. “Two hundred and ninety-nine dead on the field” by the end of 1813, Jackson wrote. “Could I have followed up that victory immediately, the Creek war, before this, had been terminated. But I was compelled [to stop] by a double cause—the want of supplies and the want of cooperation from the East Tennessee troops.” Those words came after two brutal battles in a row: At Tallaskutchee, more than a quarter of Jackson’s troops were killed, marginally fewer when they took the Creek stronghold of Talladega five days later. In an oft-recounted episode, Jackson stood shakily on his weapon. “If two men will remain with me, I will never abandon this post,” he said, eventually convincing 109 men to stay. Though he released the rest, the final battles of that campaign brought much harsher measures. Jackson court-martialed a young recruit, John Woods, who’d left his post and talked back to an officer: troops were ordered to watch as the boy was surrounded by soldiers and shot to pieces with 70-caliber rifles. This and other courts-martial doused another set of mutinies at Fort Strother, the fort built on the bones of Talladega. What was left: a hardened, disciplined group that followed orders right to the climactic battle of Horseshoe Bend, which killed 3000 Creeks and sent the rest fleeing deep into the Floridas. By then the war against Britain was two years old, and Jackson was well on his way to turning Jefferson’s “closed hand” into official Indian policy. Four hundred Kentucky volunteers deserted mid-battle, leaving the left flank of the city unprotected. It might make a better story if those volunteers had left because they had heard the news that peace had been declared: negotiators in Europe had already signed a treaty in Ghent to end the war. But the reasons appear to be closer to the usual mix of hunger, confusion, and fear of being scalped by Britain’s Indian allies. Their action became notorious, with vivid descriptions in Navy Secretary Daniel Patterson’s February report to the National Intelligencer. That issue of the Intelligencer could have been subtitled, “Desertion Special.” Pages 3-4 of the 16-page daily are taken up almost entirely with lists of deserters from Andrew Jackson’s southern campaign. At least a few of those deserters were saying no to genocide, no to rage. Their voices echo those who want Jackson off the $20 bill, in favor of someone with no career genocides.